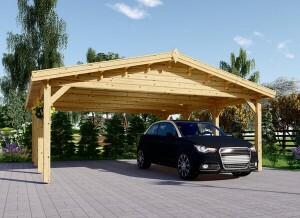 There are so many types of wooden garages that it can be hard to know what you want. So, here’s a bunch of interesting facts to help you decide what you want and what suits your needs. Many options are prefabricated and don’t take long to put up. Some wooden garages are for cars and just cars. Whether it is one or two cars, there won’t be much room for anything else. The garages do the job they are supposed to do and nothing more. These are great if all you want is somewhere to store your cars and come prefab for easy setup. 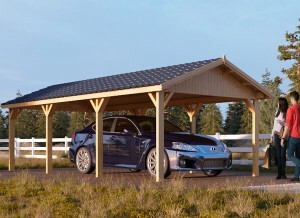 A wooden carport is suitable as a cheap option to protect your cars and keep them fresh. The carports can come in different sizes, from single vehicles to multiple vehicles. There’s also an option to have a carport with a shed, and that adds to the appeal. A shed gives you storage space with your carport rather than just a roof. 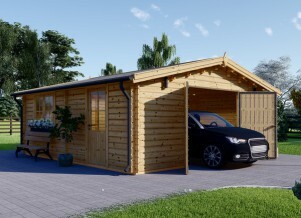 Wooden garages come in all different sizes and can be made depending on your need. Let’s say you like tinkering around with cars; you can get a wooden garage that’s easy to put up with extr4a room for tools and car parts. 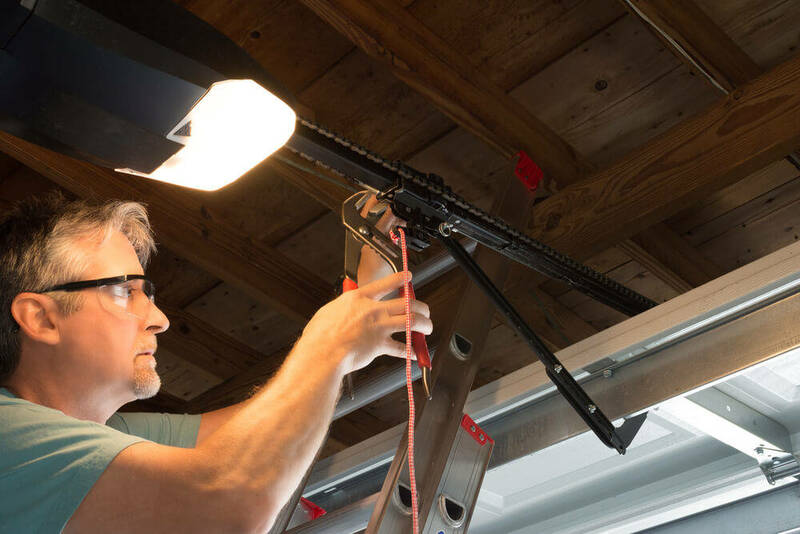 The bigger garages can be used as a workshop for the handy person around the house. There are single and double wooden garages, and these can be designed to your needs if you need a little bit more space. If you are after something a little extra, consider a wooden garage with a mezzanine. 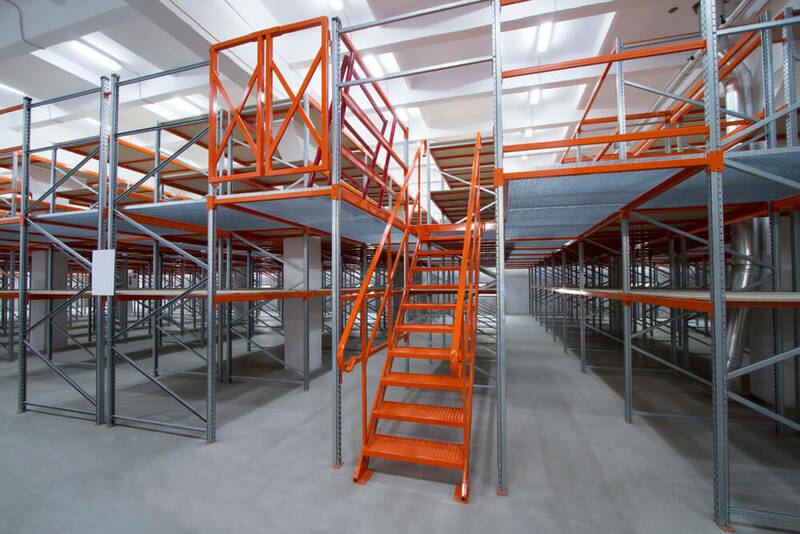 Yes, you read that right, you can get a garage with a mezzanine. That is somewhere for storage space, a place to put a comfy chair or to use a place to get away. 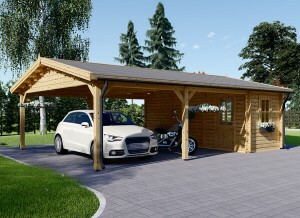 Other styles of wooden garages include a hangar-style and barn type. Installation can be done if you know what you are doing, or you can get a professional to put it up for you. The process involves starting with the foundation to make sure it is sturdy. Nothing stands the length of time without a strong foundation. Next comes the mainframe of the structure, the skeleton of the construction. A big recommendation is not to be cheap when it comes to purchasing doors for your garage. The door is how you can get in and out, and if you skimp on a door, you could find your garage broken into. 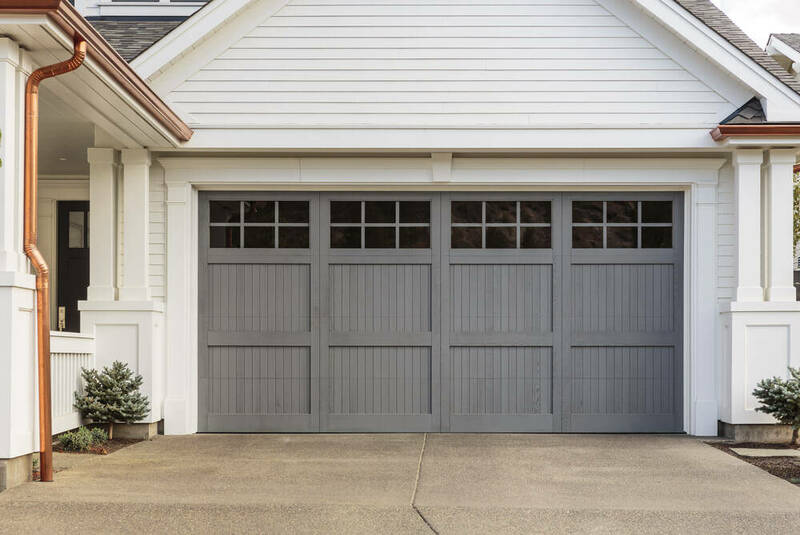 A garage door should be substantial, sturdy and not be prone to weather damage. Think about the roofing as well. Like the door, the roof is something you should not be cheap with. The roof protects you from the elements; it needs to be robust, durable and not get water damaged easily. A sagging roof can cause issues down the track and will end up costing you a lot in repairs. The wood of a wooden garage should be stained every three to four years. 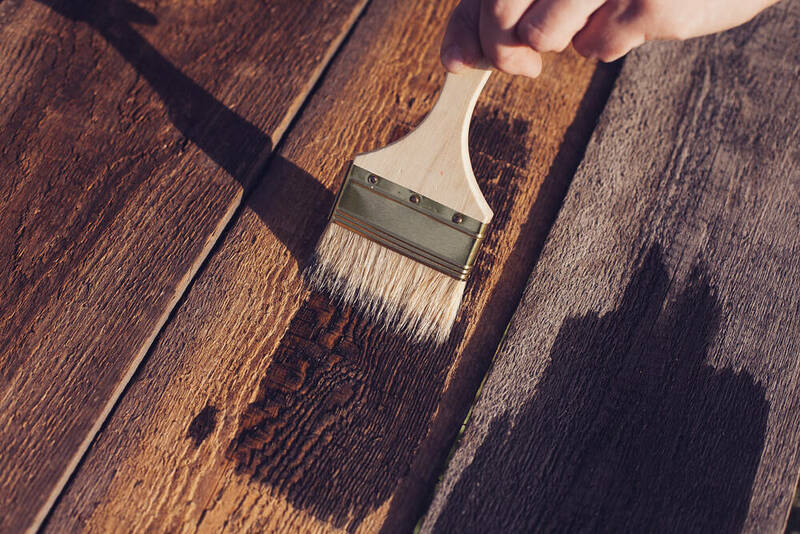 Staining the wood keeps the health and integrity of the lumber durable and resistant to cracking. Cleaning the wood garage is a way to expand its lifespan. Cleaning the wood can also keep out the pests that can attack wood. Animals like raccoons, ants, mice, rats, spiders, and termites can cause problems, but keep the wood clean can make a work of difference. Wood creates a natural insulation from the climate, unlike concrete. Wood does not expand in heat or contract in the cold. This will mean you will not have any issues with your doors opening or closing. If you are into music, a wooden garage is an excellent choice. Ever noticed how guitars and other instruments are made from wood? That is because wood has factors that make it acoustically superior to other materials like metal and concrete. Wood also absorbs the noise, so you have less worry about annoying your neighbors with your fantastic playing. Let’s say you are someone who is environmentally conscious. A wooden garage is more ecologically friendly than other materials around. It is also claimed that a log garage, and living in wood provides better physical health and mental well being of anyone living there. Oxidation is a problem with materials that rust, like many metals. Wood does not oxidize or rust, so that is something less to worry about. That means there will be fewer repairs and maintenance, making wood a less expensive option in the long run. A great thing about a wooden garage is that it can be easy to fix. Wood might be expensive or hard to source, but when you have got the wood and the tools, you probably won’t need to call in a professional contractor to fix the problem. The type of wood used can depend on a range of options. Speak to an expert about your needs and find out what they recommend. A wooden garage is an excellent idea if you want something that’s designed well, traditional in style, want to be environmentally friendly and are handy enough to fix any problems yourself. A wooden garage can be used as somewhere to put guests in over Christmas. You can set up the garage to give a look and feel of a traditional Christmas with a rustic look and feel. Using wooden elements to complement the garage can make it perfect for Christmas dinner. The simplicity of a wooden garage means that it can save you money, has authentic styles and multiple uses. Rotten and broken wood is easily fixed, there’s natural insulation, and they look amazing. You can paint them the color you want and make the wooden garage yours.